It's the start of National Craft month and Graphic 45 are celebrating in a big way with cards, tags, layouts, albums and more. There will be loads of ideas and crafty inspiration on their blog from the design team and G45ers over the next four weeks. This week it's cards and tags. For my card I used papers from the Good Ol Sport collection. 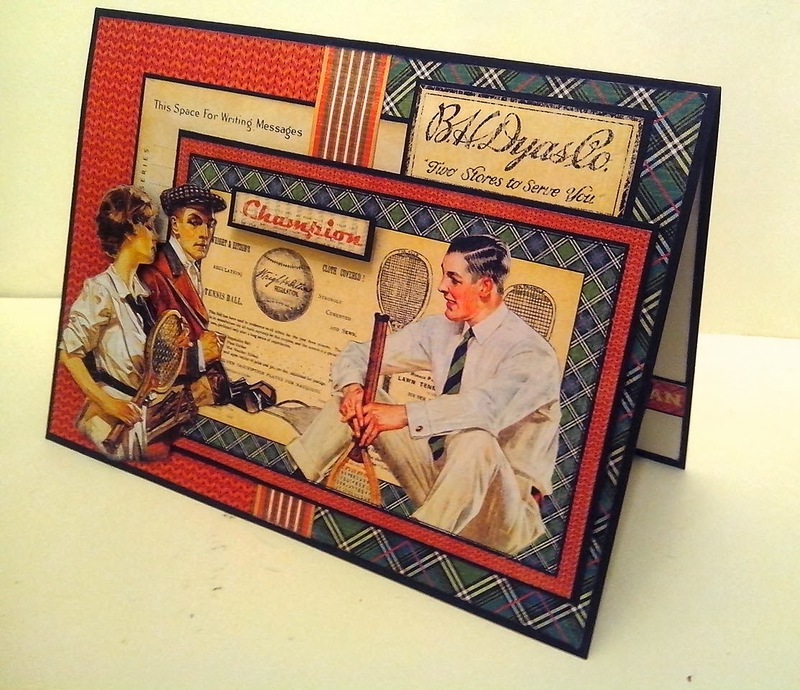 I love this collection, the colour pallet and papers are just what we need to make cards for the guys in our lives. 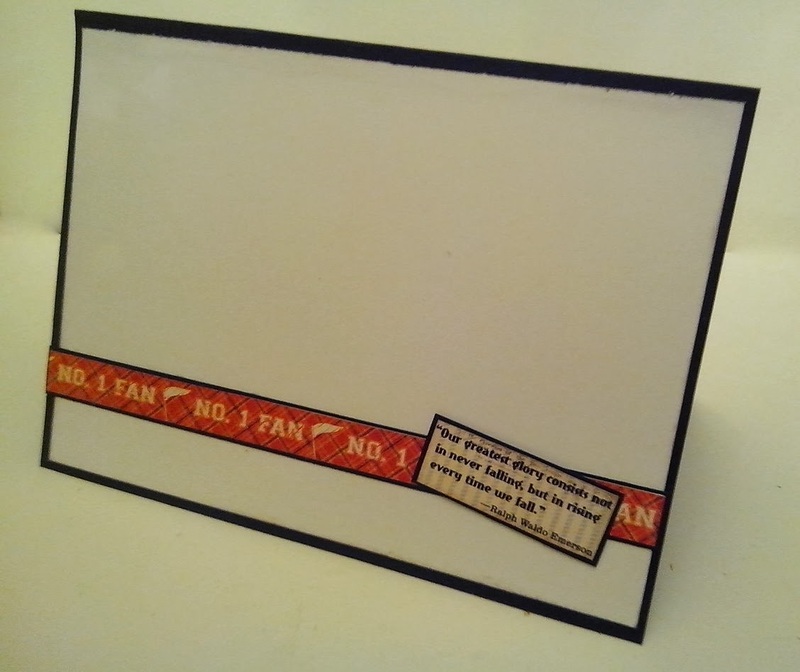 There's a tutorial on how to make the card yourself and more crafty ideas from the G45 ning site over on their blog if you want to take a peek. Click here to visit. Joanna's also added some crafty pics of all the lovely ladies cutting into their Couture papers and having a ball at my retreat last weekend too. Love, love, love this card Clare!!! As always you came up with a great card for a guy!! Love keeping up with you and seeing all the hard work you are putting in to your retreats and how much fun the ladies are having. Wish I were closer or very rich so I could fly over and attend!!! Thanks for sharing all the lovely things you do!! it's a great vintage card Clare. Morning Clare, A truly beautiful card, loving the fussy cutting and the gorgeous paper compilation. Great to see your piccies of the retreat over on Graphic 45 too.